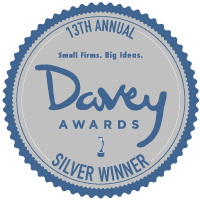 (Delta, BC) – Regal ideas Inc., the world’s leading manufacturer of aluminum railing systems, has won the industry’s prestigious Best of IBS Award for Most Innovative Building Product at this year’s NAHB International Builders Show held in Orlando, FL. The awards were presented during a ceremony on the final day of the show. The NAHB International Builders Show (IBS) is the largest annual construction show in the world, every year attracting more than 60,000 visitors from 100 countries. IBS brings together the industry’s most important global manufacturers and suppliers and showcases the latest products, materials and technologies involved in all types of buildings. Regal ideas LED lighting and railing systems including Crystal Rail, were one of over 400 entries in nine categories that were considered for the 2017 Best of IBS Awards, as 28 industry and media judges evaluated criteria based on Innovation, Functionality and Good Design to select the 2017 finalists. 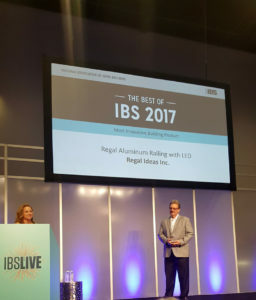 In addition to receiving the Most Innovative Building Product award, Regal ideas Quick Step Stair System was also selected as a finalist for Best Outdoor Living Product. Along with showcasing the latest products, turn-key merchandising and marketing programs, Regal ideas Inc. also launched its new mobile responsive website and Contractor Certification Program. More ideas available at regalideas.com. IBS brings together the industry’s most important global manufacturers and suppliers and showcases the latest products, materials and technologies involved in all types of buildings— including wood, concrete, stone and brick. See 550,000 net square feet of exhibits and more than 1,400 manufacturers and suppliers of the latest and most in-demand products and services. In addition to the must-see products and exhibits, IBS also offers the most up-to-date and innovative education the industry has to offer. The show features 160+ sessions in eight tracks, taught by renowned building industry experts from across the country. With topics ranging from sales and marketing to construction and codes, there is literally something for everyone.